Quick — what are the first things that catch your eye when you're repinning home decor pics? Gold accents? Graphic black and white? Moroccan-inspired details? 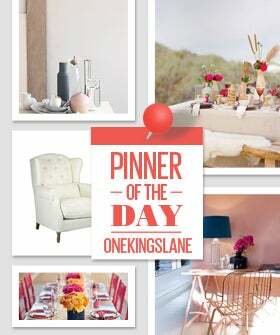 Oh look, One King's Lane already has boards dedicated to every single one of your favorite home decor themes, as well as countless other boards for your future obsessions. We recommend clicking on the link later in the afternoon, lest you want to see your morning completely disappear.